We're incredibly stoked to be the VitalMTB bike of the day today! A frame up super-custom build! 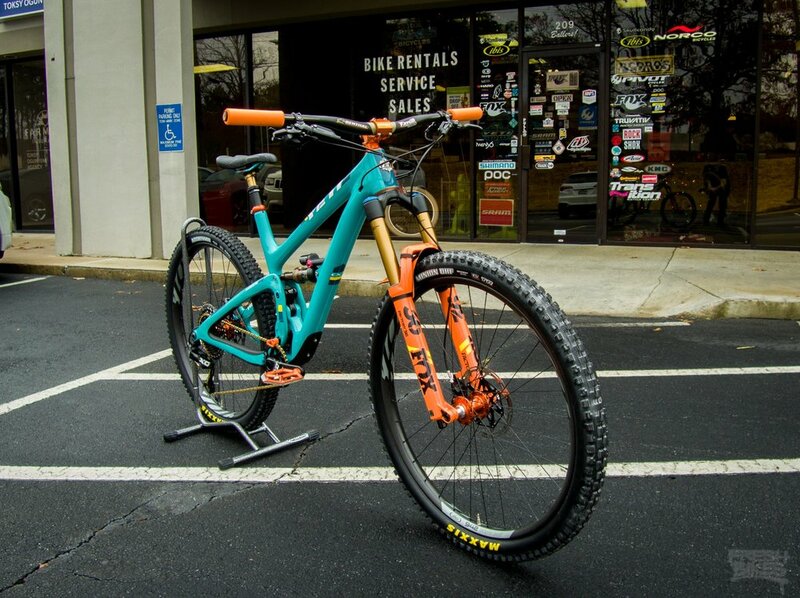 The formidable Yeti 5.5 frame is paired with the orange Fox Factory 36 fork which sets the palette for the rest of this beast of a bike. Chris King hubs, headset, and bottom bracket handle power from the Sram XO drive train. The wide-footprint Ibis carbon 942 wheels are shod with Maxxis Aggressor and Minion DHF rubber for maximum grip. 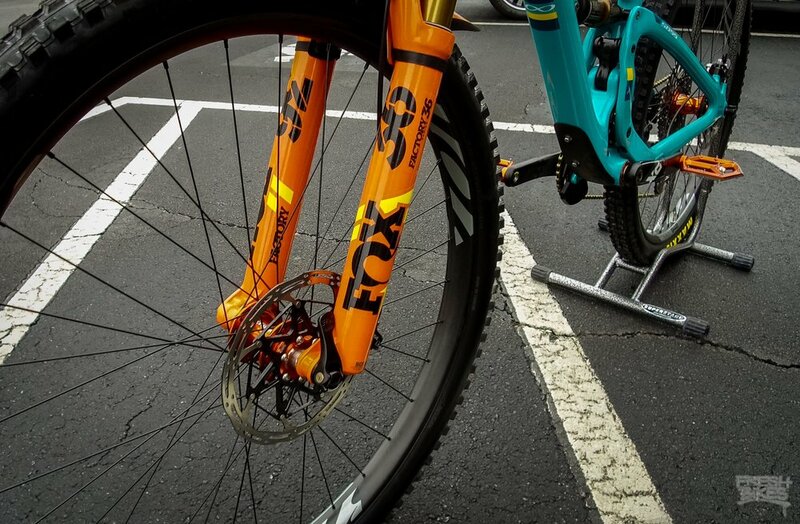 The Fox Factory Kashima Transfer seat post matches the rest of the Fox Factory bits, and mounts to the bike with an orange Salsa seat post clamp. SRAM Guide Ultimate brakes handle the stopping duties and the cockpit is finished up with a Renthal Carbon Fat bar, and an orange Straitline stem. Finally, an orange Mucky Nutz fender keeps the mud off. Fresh Bikes can turn your bike dreams into reality!